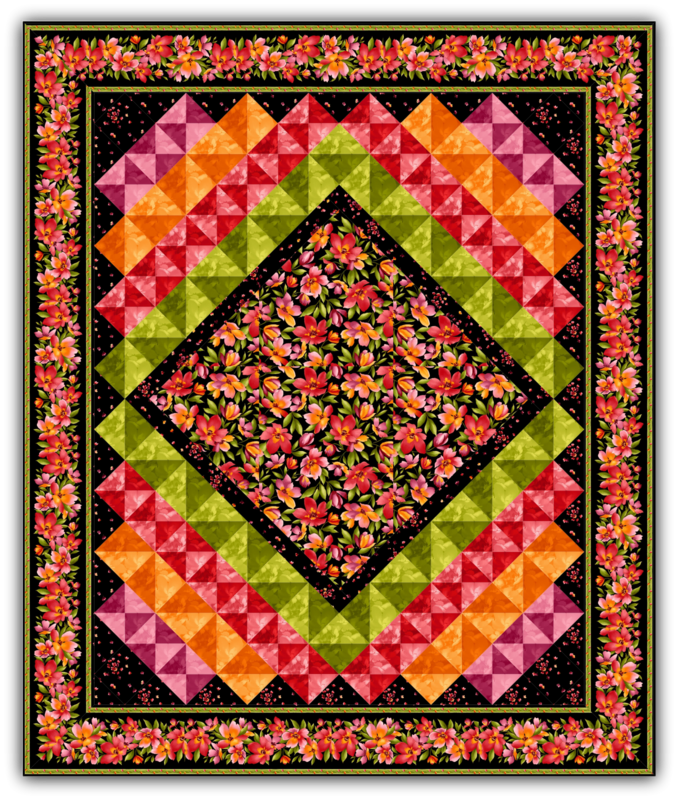 Half-square and quarter-square triangles dance around tropical flowers on this 78" x 87" size quilt. Kit includes fabric for top only plus binding. Fabric from Maywood Studio Catalina collection. My local (and favorite) quilt store, Bolts in the Bathtub, has the pattern and fabric all kitted up. Click in their logo below to go right to the Catalina Kit page.